Coming together great. Face is has major improvement. Few tweaks, downloading that shiz! Thanks guys. I found better tights for him, without the designs all over it and it comes with kick pads. Is community creations download count (not the download limit) glitched? 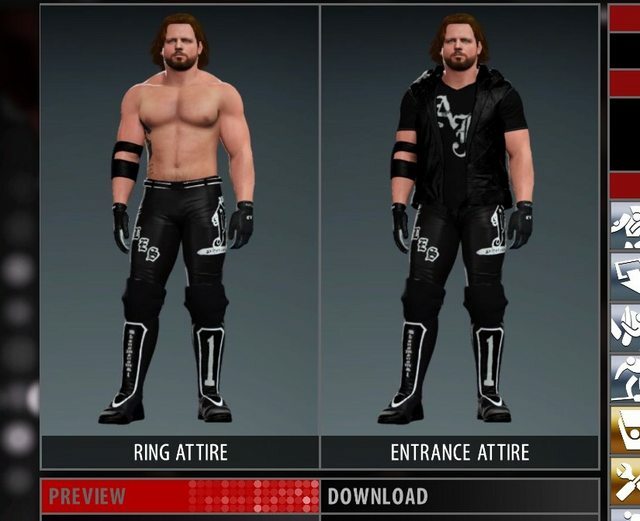 I've uploaded about 7 different AJ styles, and the one with the most downloads is around 100 on the indicator. But when I go to my upload menu, I have gold slots that unlocked the other day. There's a goal at the top, which states I get 5 points per download and its in the thousands to reach the next level. It moves up really fast everyday, but like I said, when I check my uploads-the download count on them doesn't add up to the slots screen. According to that screen, thousands have downloaded my creations. Yeah defo glitched. I click on someone to see their creations, and always (now goes to mine).  Made a new one again. New face and used it again as face art overlay. 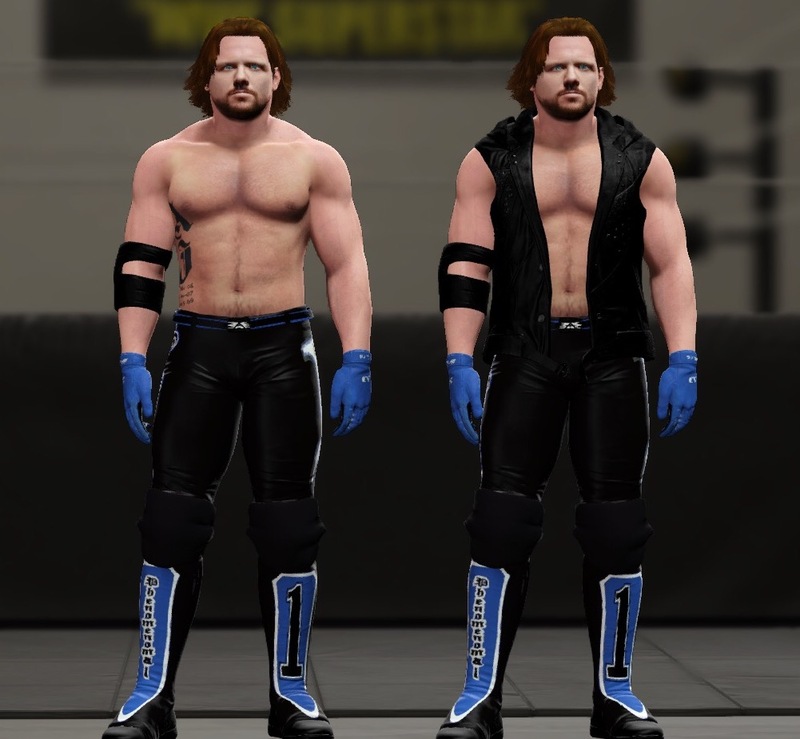 Here's the reference I used to make this attire. 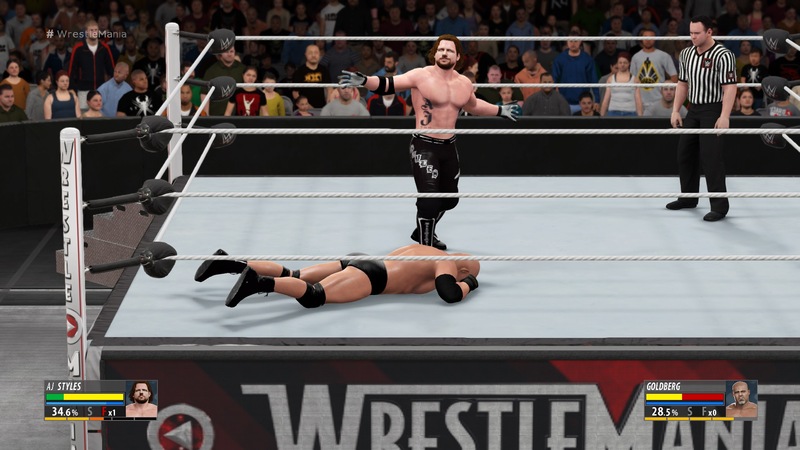 His alternate attire is from his WWE debut at the Royal Rumble. 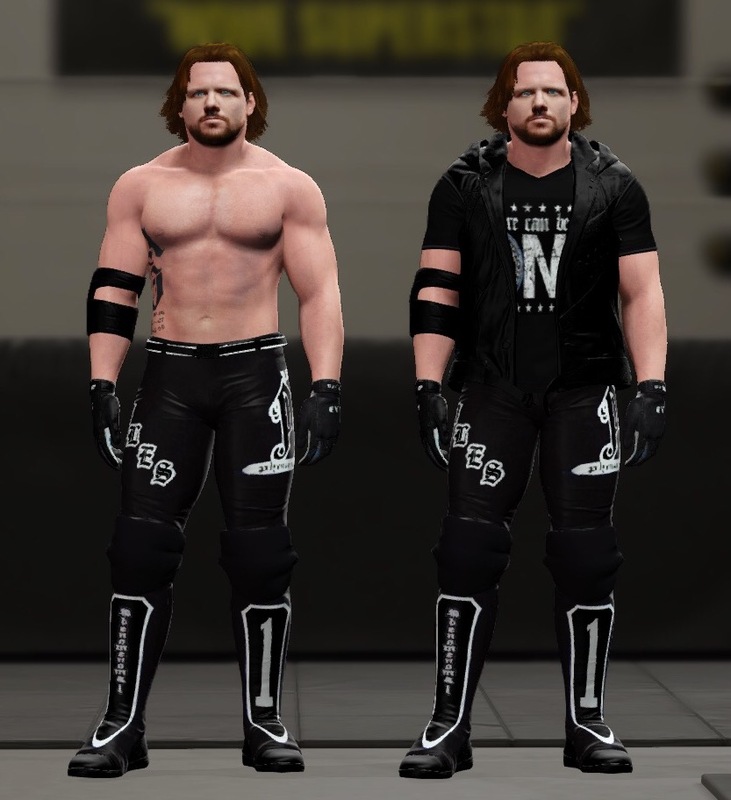 Looks like his 2k17 attire too. Here's what I was talking about earlier. It says my stuff has been downloaded that many times, but when I go to the actual CAW and check the download count, it comes no where near to that number. how is this version fairing? 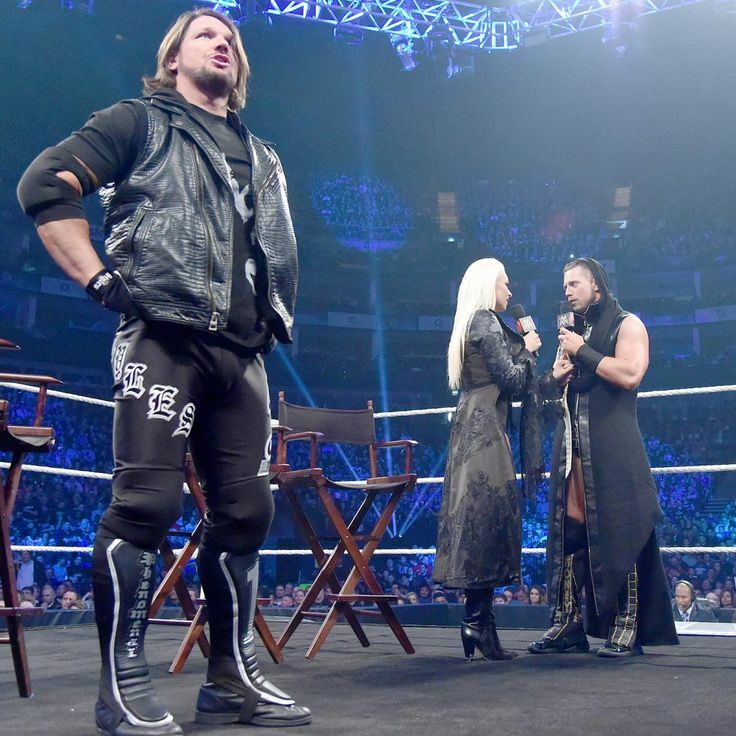 Now that is Aj Styles. Compare it to your first one and when you said you was gonna give up..
And think that count is legit.. It's the ones on CC that are f'd up. face looks a little too bright. Took the face overlay off, couldn't get a good color on it. Made adjustments to the height and muscle mass. I only made it sleeved because that's what he wore that particular night. 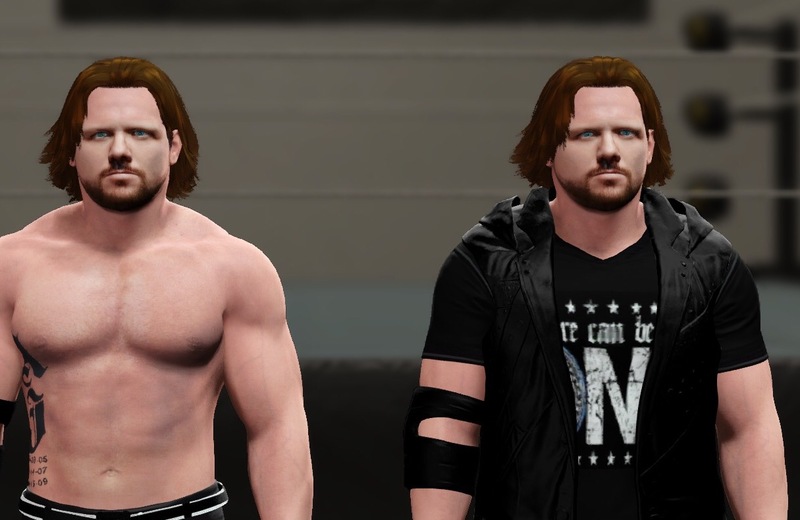 But I'll def make another AJ same way with two attires wearing those logos. Edited by Rell7thirty, 16 November 2017 - 05:39 PM. Edited by Rell7thirty, 16 November 2017 - 05:38 PM.